A Ride in Luggage Class… – snackettes. 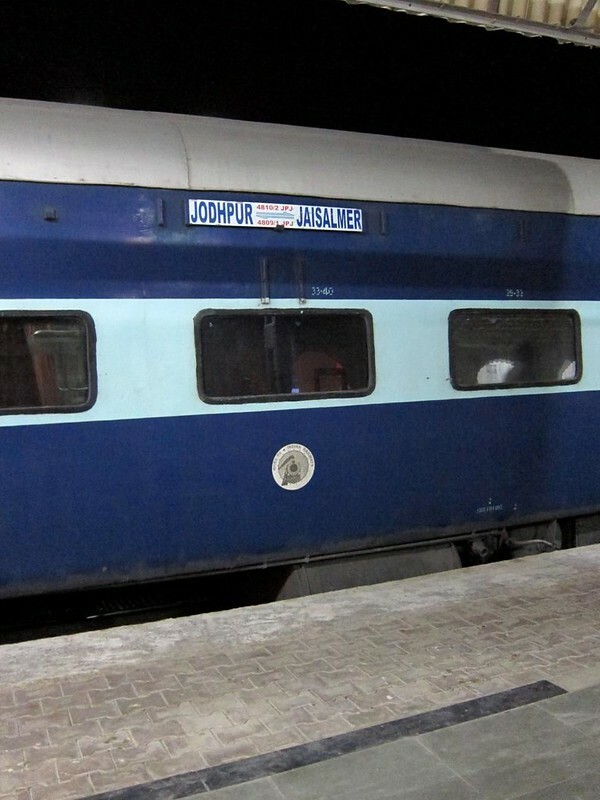 After a month of jumping around India by trains, we had ridden in just about every class of train available– 2AC, 3AC, 1 non-AC, RAC, chair car– but we had yet to ride in “Unreserved”… train-speak for: find your own damned spot on the train. We honestly didn’t mean to see ourselves squashed like sausages into a train car normally designated for luggage on this particular day, but we were left with little choice when we arrived at Dhuri Junction (read: the middle of nowhere…..) at 2:00 in the morning on an overnight train from Rajasthan. We were trying to get to the northern town of Amritsar, still another 4-hour bus ride away from Dhuri, but the busses wouldn’t start running until 6:00 AM. At 2:00 in the morning, Dhuri Junction is not the type of place you want to be sitting around for 4 hours; people seemed nice enough, but there was nowhere to sit comfortably, and the staring from everyone had us a little uncomfortable (tourists apparently don’t go to Dhuri Junction). So we asked the man at the train ticket counter whether there were any trains going to Amritsar– as luck would have it, there was one coming in 15 minutes!! It would take ~5 hours to reach Amritsar, which was far better than waiting around for a 6AM bus. This close to the departure, however, we were only allowed to get “unreserved” tickets– it would be up to us to muscle our way onto the train. As we began fighting our way on board the luggage car, the train conductor ran up to us (we stood out pretty badly in Dhuri Junction), “You’re getting on the wrong train!” he said, and he motioned of us to show him our tickets. As foreigners, he thought we should be have been getting onto a higher class of car, but we assured him that “unreserved” was exactly the tickets we were holding. People were smashed into every corner of this car, sitting up in the luggage rafters, leaning out the windows, standing in every available inch possible. At one point, they were concerned that we wouldn’t want to stand for the full 5 hour ride to Amritsar, so they encouraged us to squat, which was far more uncomfortable to our untrained American legs.. and every 5 minutes or so (when the legs would fall asleep), we alternated between squatting and standing, literally smashed into the knees of our new friends. And so it was that we sped through the blackness of the night across the plains of northern India, the cool wind whipping in through the barred windows– yes, this was traveling! Around 5 AM, some of our friends began departing the train before us, and we were all surprisingly sad to see each other go our separate ways (maybe our sleep-deprived brains were causing us to be overly-sentimental). One little boy that we hadn’t talked to directly yet came up to us as he was leaving and wanted a hug from Scott. And Scott obliged with a huge bear hug. When Deepak was getting off the train, he told us he would miss us and gave us both a hug. Sundeep even bought us both a cup of hot chai and passed it in through the window to us after he got off at his station! Eventually, we were able to get a seat for ourselves, which was a God-send, as our “5 hour ride” turned into a grueling 12 hour slog that put us in Amritsar long after that 6AM bus would have… When we finally arrived at our hotel in Amritsar (around 3 pm! ), utterly exhausted, we tossed our bags aside and immediately crashed, shoes on and all. When I awoke a few hours later, disoriented and confused (the way all mid-day naps seem to end), I had 4 new messages and “friend requests” waiting for me on Facebook– although now it all felt like a dream, our midnight train ride through the plains of India had happened, after all. You guys crack me up with your crazy adventures! !